Yes, it looks like we have way too much time on our hands. 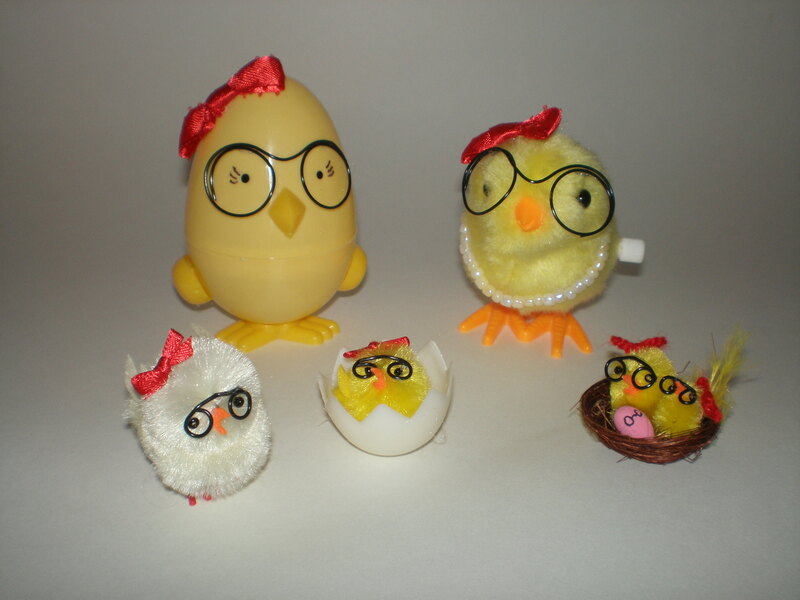 In fact we just didn’t do stuff we should have been doing while we made little bows, glasses and strings of beads for these chicks! Then we had to stop, even though we had a bunch of other ideas that you’d probably find equally entertaining. Notice I didn’t try to quantify how entertaining that might be. When I started this blog, I promised to drop in every now and then and tell you what this nerdy chick has been doing. Well…. now you know! In a week or so, these babies will be on sale in stores everywhere dirt cheap cheap cheap. 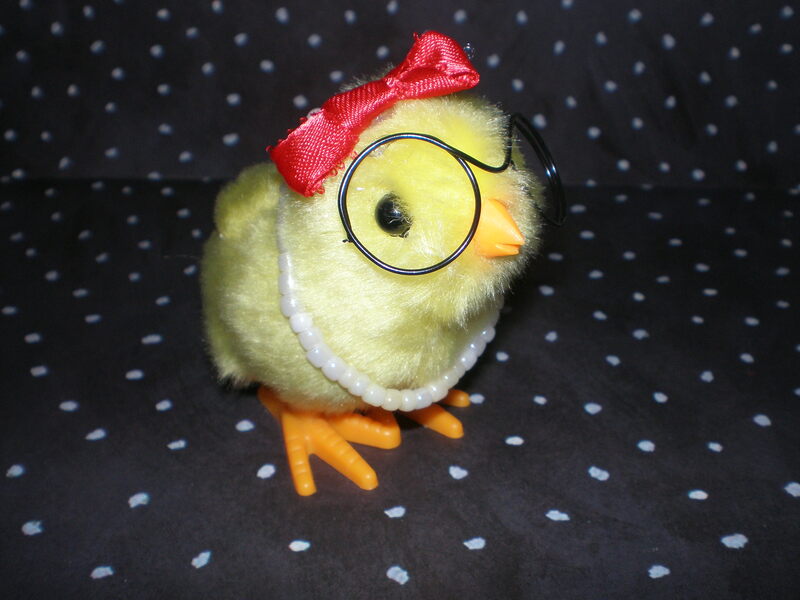 If this post inspires any of you to buy a chick and dress her up, please send a picture and we’ll add it to the gallery! 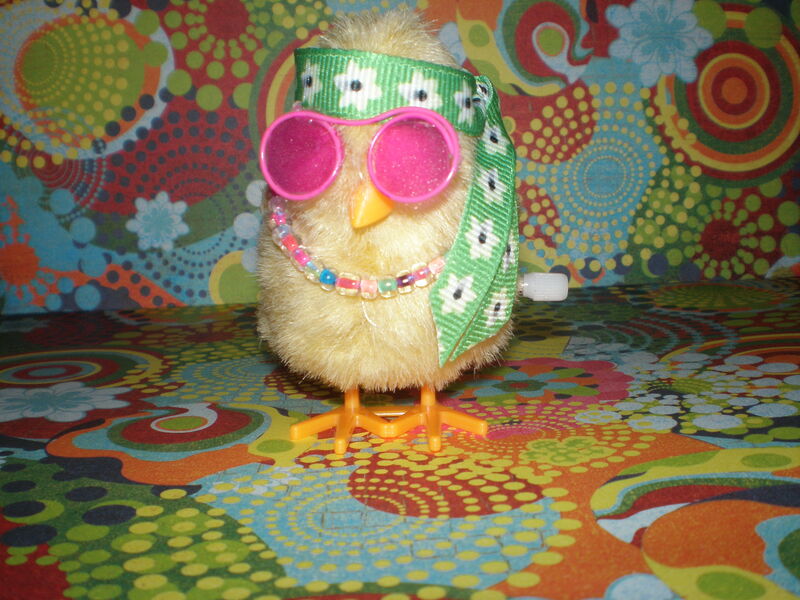 This entry was posted in This Nerdy Chick and tagged chicktivity, groovy chick, nerdy nerdy chick craft, things to do when you're bored. What a wonderful idea….so cute!! Precious time with your girl is a blessing and those other things can wait!! Thanks Kristy. I’m always amazed at the funny things she comes up with.